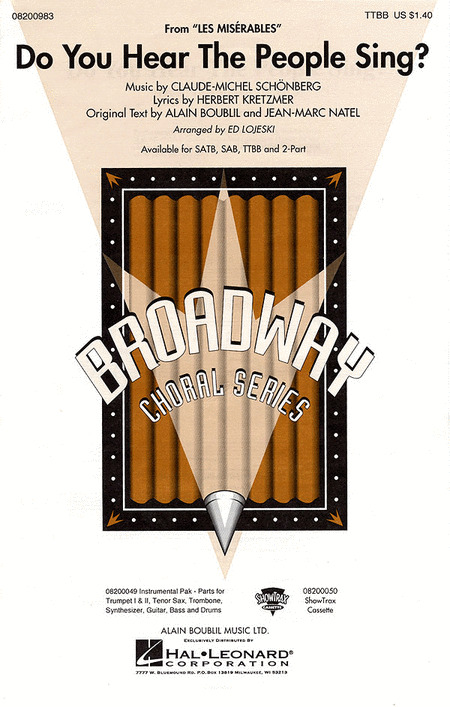 A wide selection of arrangements for male harmony voices from Broadway to the West End. Displaying 1-50 of 94 items. This classic Disney song with clever lyrics will be a delightful showcase for men's voices and great entertainment across the generations! 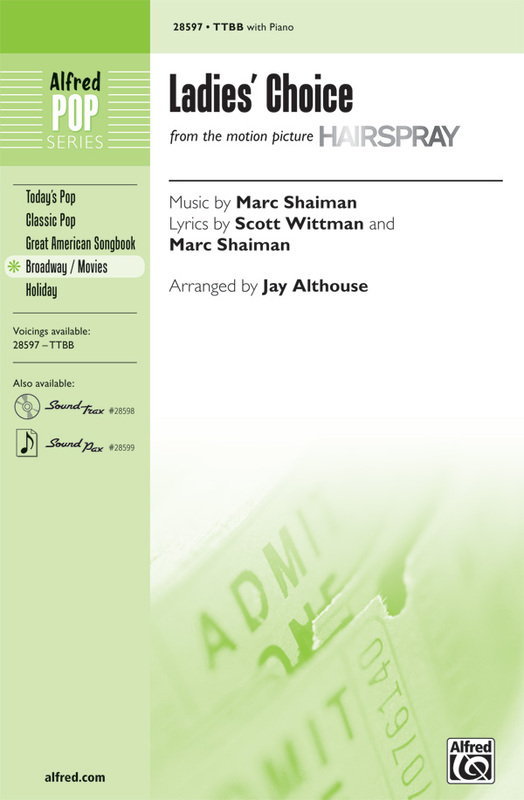 With piano and optional bass and percussion. From the 1970 Broadway musical Company by Stephen Sondheim, this is the Act II summing up number sung by the character Robert who finally learns that alone is alone, not alive. 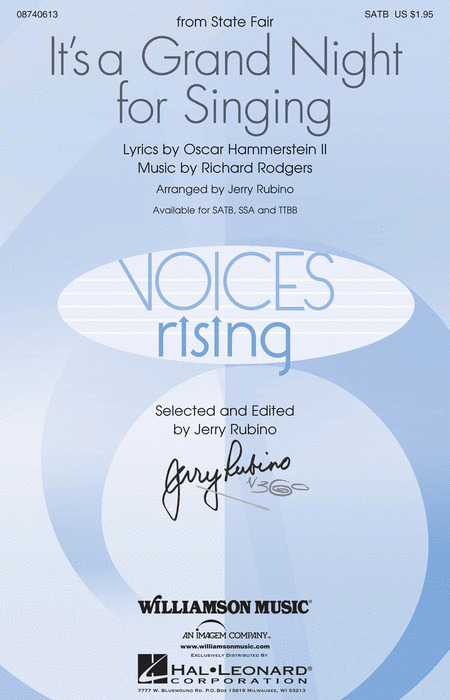 Set over a chaconne-like ostinato accompaniment the melody builds from an introspective solo line into full-voiced and dramatic choral harmonies. A sophisticated setting for advanced choirs. 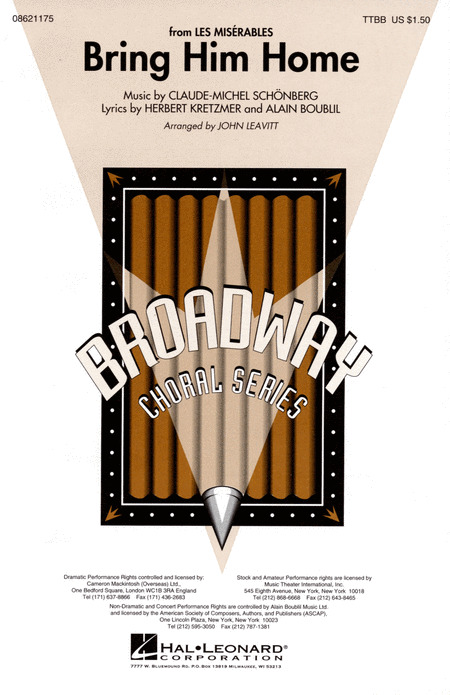 This powerful song from the epic Broadway show Les Misérables is now available for male choirs in a dramatic and sonorous setting by John Leavitt. 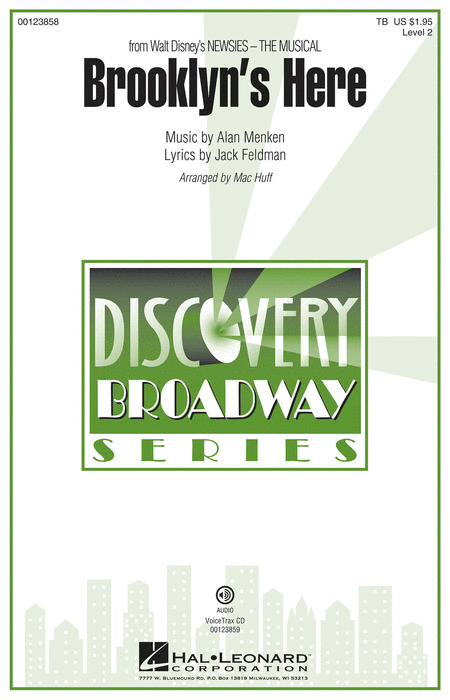 Stephen Schwartz--Wicked, Pippin, Godspell--is the master of melody. The kind of melody that can pull at your heart or lift you up. Here, in this single movement from Tyler's Suite, with the goal of creating a lasting culture of kindness through the power of music he does not disappoint. 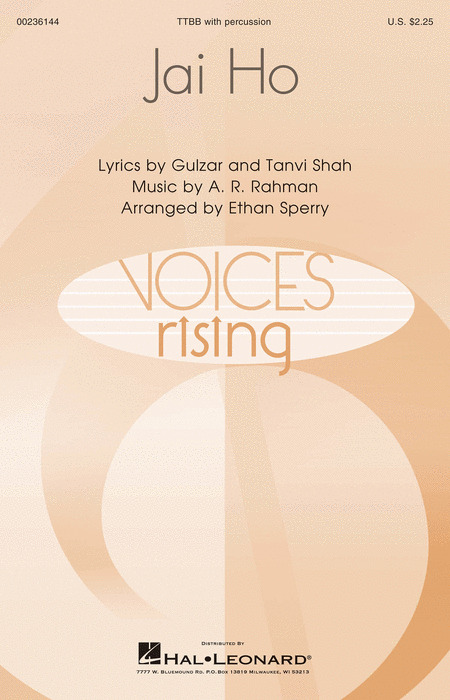 This work shines a light of hope for a safer, kinder world and inspires listeners and singers toward this goal. Mac Huff : Can You Feel the Love Tonight? 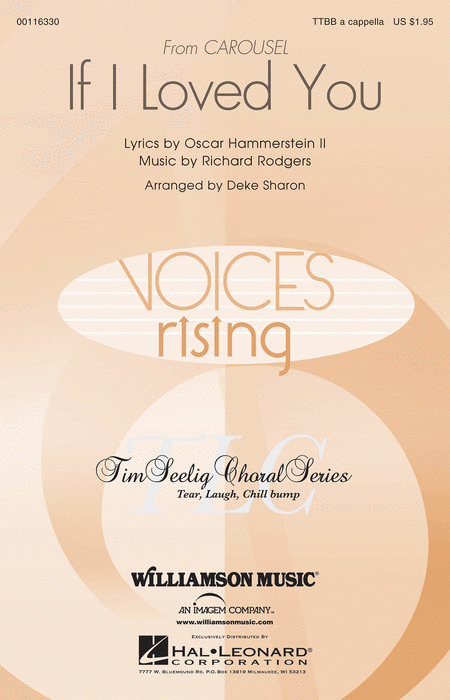 The breathtaking ballad from The Lion King in a sonorous setting for a cappella ensembles. Available for the first time in a mixed and men's a cappella setting, this Disney classic will once again enchant your audience. Beautiful harmonies gently accompany the easily-sung melody. Fans of the musical review Forever Plaid will adore this trio of old-school crooner songs set for 4-part men's voices. This is the kind of music that guys can really sink their teeth into and that ladies love to hear. A musical "babe magnet." Finding joy in the ordinary, smiling in spite of setbacks, looking to the future ... all part of the marvelous message found in the captivating music and lyrics of Stephen Schwartz in the hit musical Wicked. It's just life, so keep dancing through! 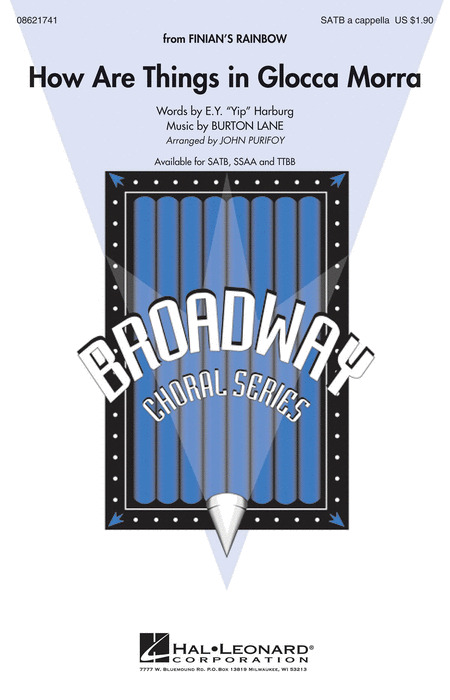 Available separately: SATB, SAB, TTB, ePak(C) and ShowTrax CD. Performance Time: Approx. 2:30. Ed Lojeski : Do You Hear the People Sing? The music of a people who will not be slaves again... - This stirring anthem stands out as a fitting tribute to the changes taking place across the globe. Inspiring! From the musical Les Miserables, this powerful ballad is full of grief but also the hope that leads us to speak truth to power. This arrangement captures the raw emotion of one who has lost friends and carries the pain and guilt of the one who lives on. Here is a song for your concert or show choir that requires their full vocal ranges along with the full emotional ranges expressed by heartfelt lyrics. For those who are lonely and without real friends, sometimes an imaginary friend can really be important. In the mega Broadway hit Dear Even Hansen, Evan frabricates a detailed story of a friendship with Connor that never existed. This intricate tale is told with passion and heartfelt emotions and results in comfort for the friends and family of Connor. Here is an incredible opportunity for your singers to reach deep into their emotional reserves and create this powerful story. 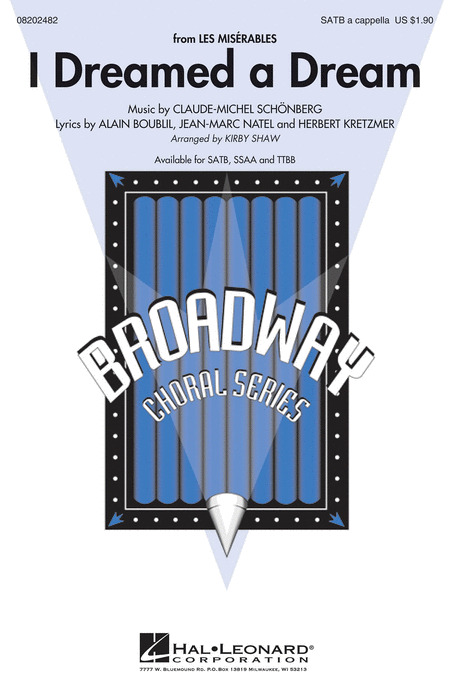 Here is the expressive ballad from the musical Wicked by Stephen Schwartz in a setting for TTBB men's chorus by the cabaret pianist and arranger Alex Rybeck. 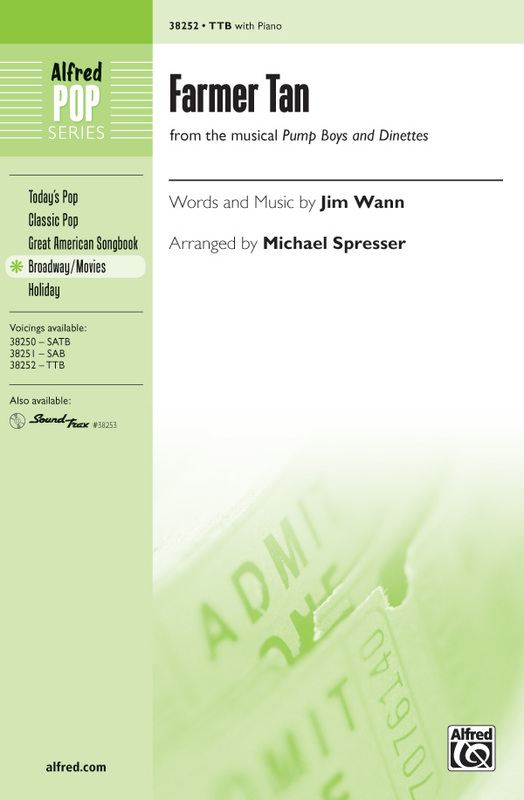 A sensitive accompaniment, full vocal ranges and harmonic nuances give this work appeal especially for concert groups. 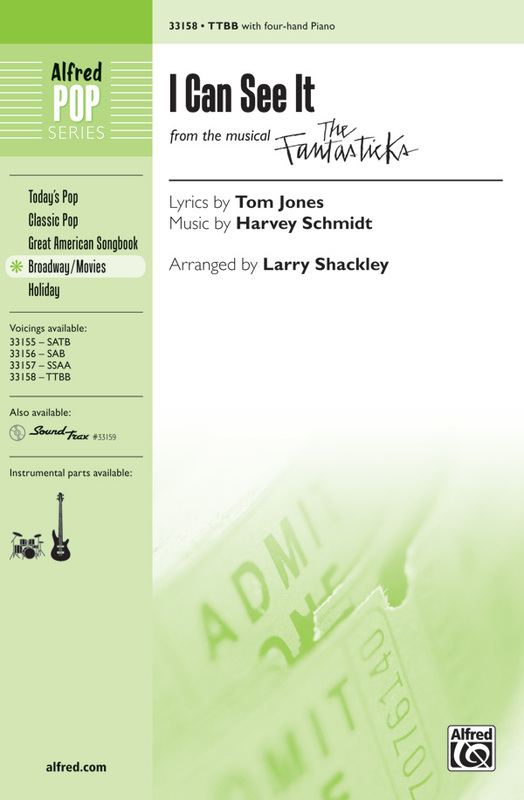 Program this for a fun comedic break in any concert! 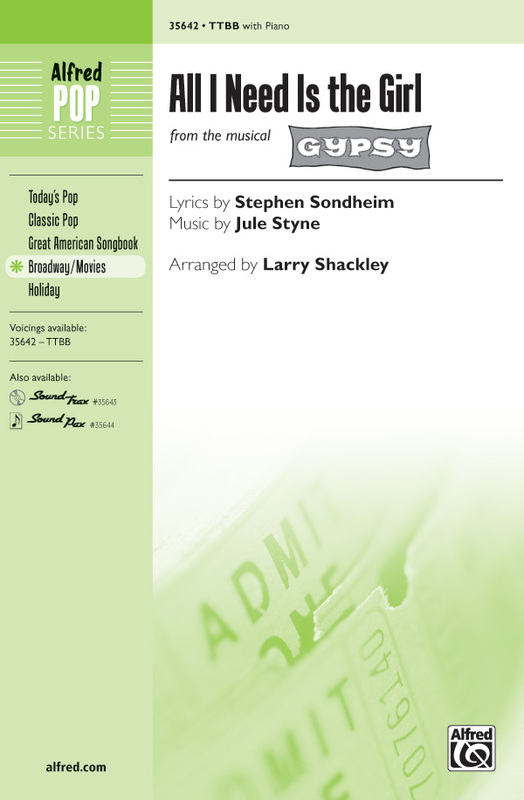 From Leonard Bernstein's legendary West Side Story, this tongue-in-cheek number highlights every social ill possible! 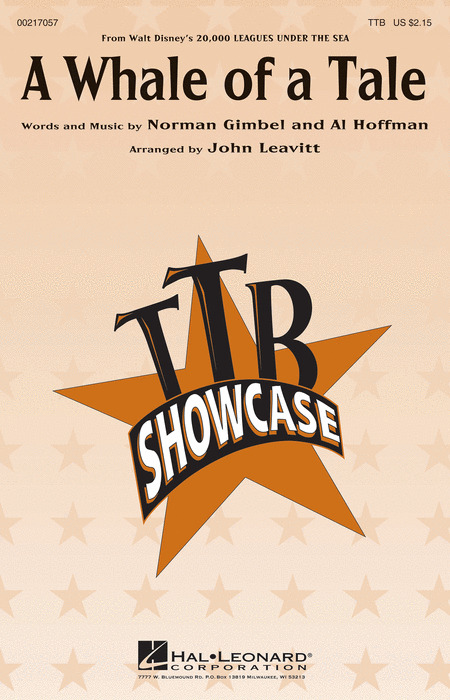 Available separately: TTBB, ShowTrax CD. Duration: ca. 3:25. 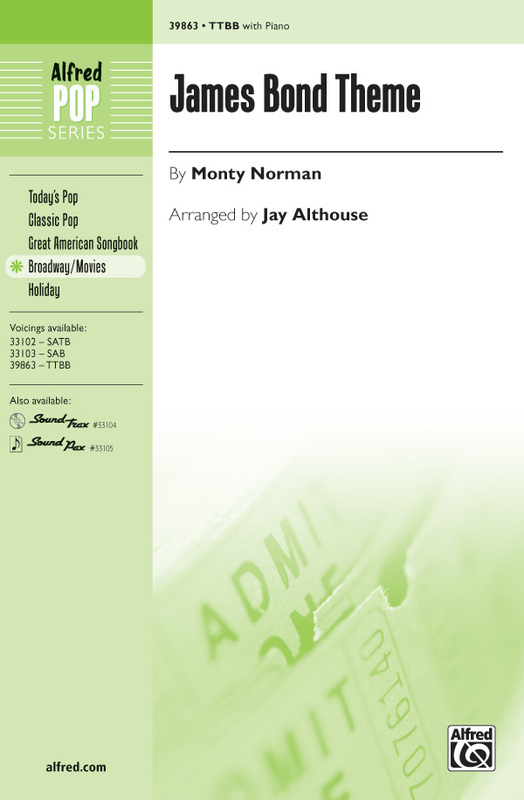 From the musical Urban Myths here is an inspirational work for concert choir. 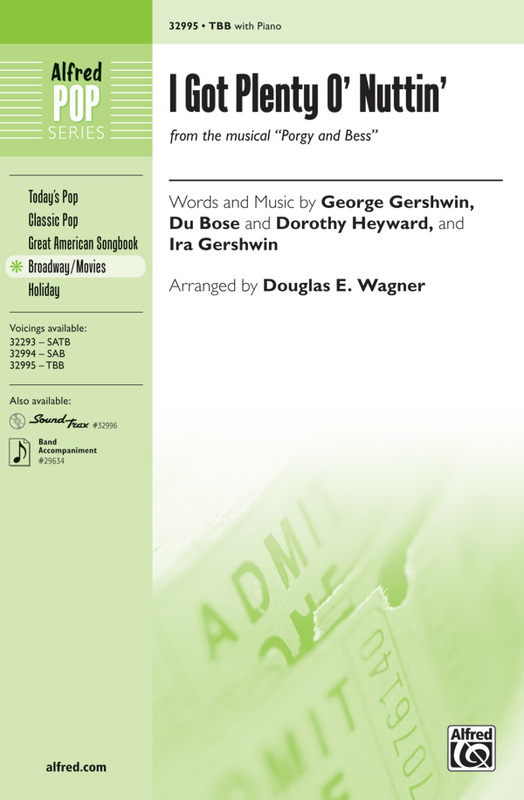 Lush harmonies and a piano accompaniment that leads to an thrilling climax make this a perfect selection for graduation, Thanksgiving or concert closer. Grease is the word - and your guys will steal the show with this raucous, rhythm-fueled Broadway blockbuster! A fantastic choice for men's choirs of all ages! 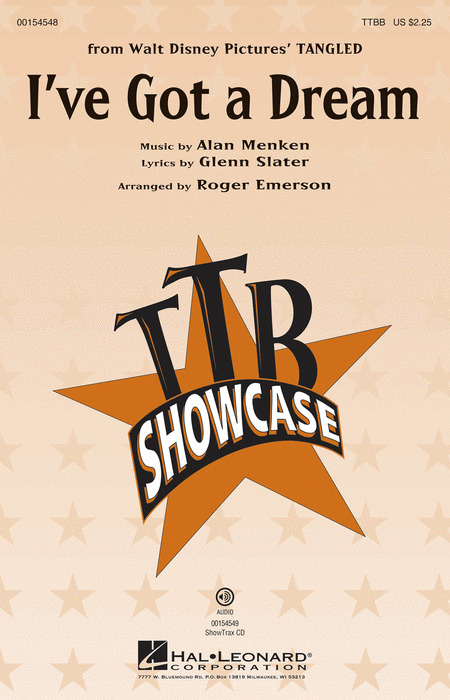 Available separately: TTBB, ShowTrax CD. Duration: ca. 3:15. John Purifoy : How Are Things In Glocca Morra? 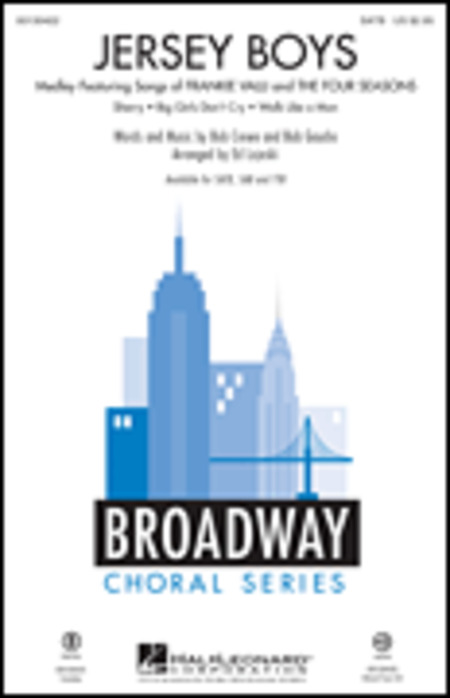 From Finian's Rainbow, revived on Broadway in 2009, comes one of the score's most famous numbers, here in an expressive a cappella setting. The gently undulating melodies and the heartfelt lyrics create a tenderness that is truly sublime! Throughout this powerful song from Walt Disney Pictures' Mulan, your men's choir will explore themes of adventure and courage in this heroic song. Even tough guys have dreams! This hilarious song from Walt Disney Pictures' Tangled will give your men's choir a chance to show off and get some laughs! Solo and choreographic options abound! 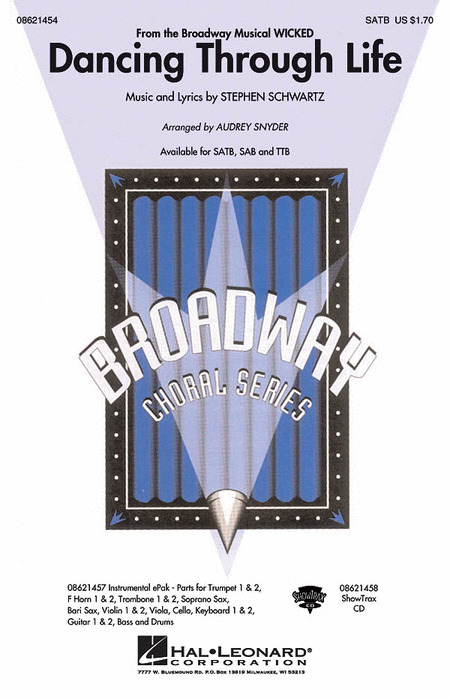 Exquisite lyrics and flowing vocal lines combine in this Stephen Schwartz ballad taken from one of his most performed musicals, Children of Eden. 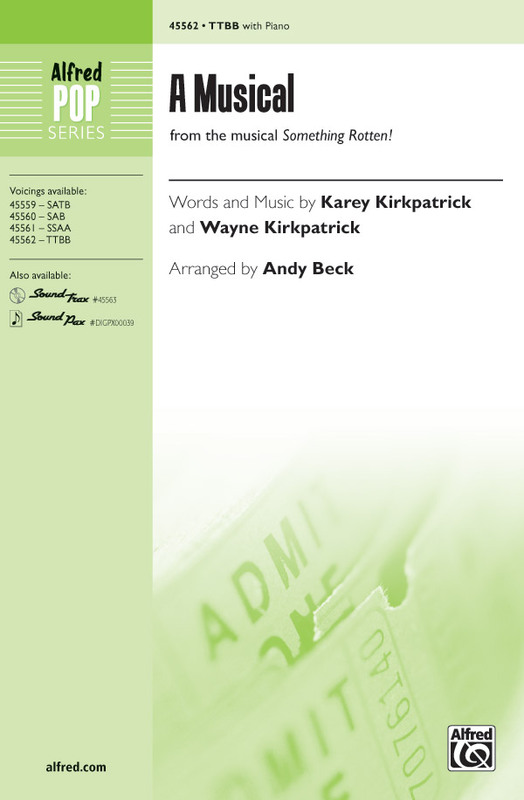 There are times I've been afraid ... Then I feel your hand in mine And there's courage in my heart.Available separately: SATB, SSAA, TTBB and ShowTrax CD. Performance Time: Approx. 3:15. The beautiful song from Hello Dolly in a lush a cappella ballad setting! 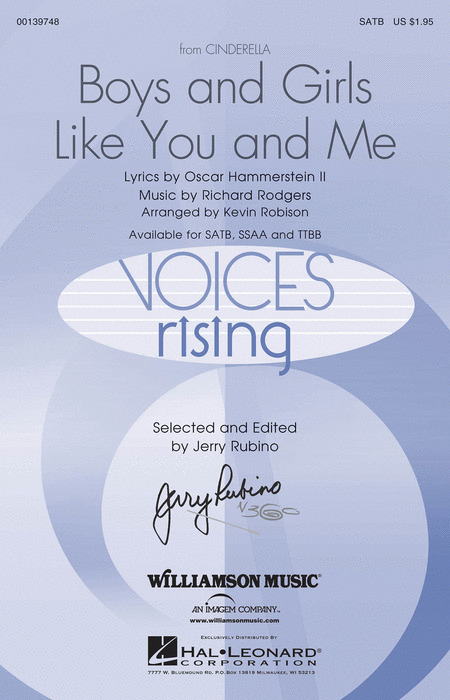 With heartfelt lyrics, rubato phrases, and rich choral harmonies, this will be a wonderful feature for jazz, pop and concert choirs. From the film Slumdog Millionaire here is a wonderful fusion of Indian rhythms and scales with American pop styles and instrumentation. Excellent program notes offer guidance for the style, there is an easy to understand pronunciation guide to help with the Hindi language and a separate percussion score. Celebrate 50 years of James Bond OO7---and the release of the movie Skyfall---with this fabulously recognizable theme, originally premiered in the film Dr. No. 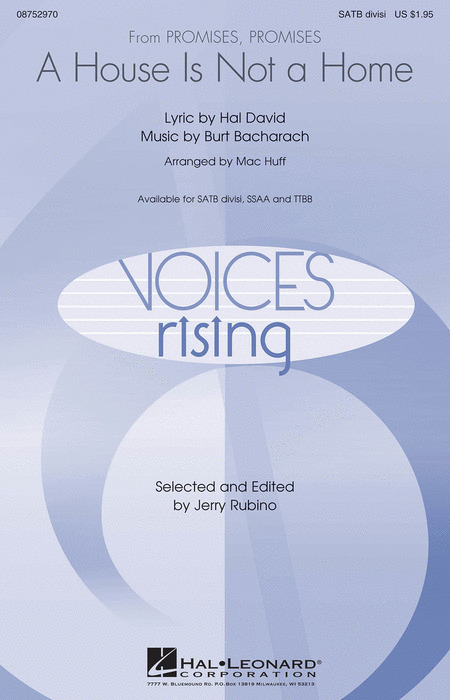 Singers can now enjoy these exciting rhythms, marvelous melodies, and snazzy harmonies! Jersey Boys tells the story of the four young men who came together to form The Four Seasons. Now the classic songs of their era are being embraced by a new generation of fans through the stage musical and the 2014 movie of the same name. 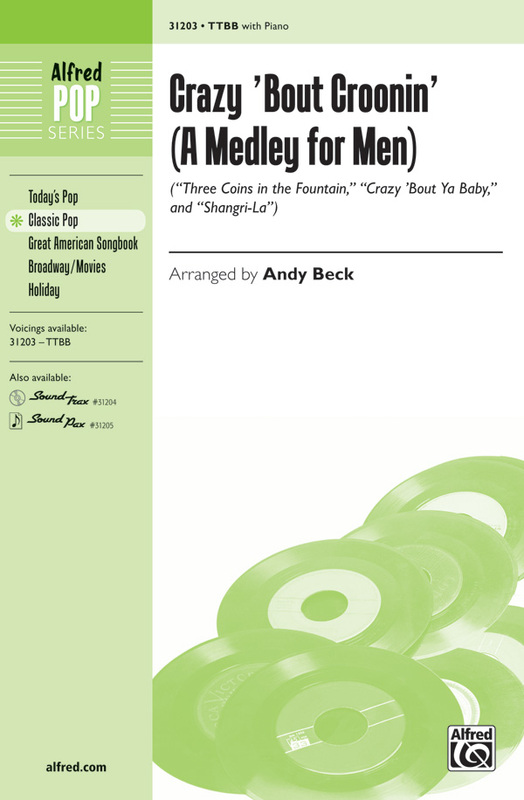 Here are three top songs from the show in a 6-minute medley for mixed and male choirs. Songs include: Big Girls Don't Cry, Sherry, Walk Like a Man. From The Little Mermaid, "Kiss The Girl" is available in a fantastic a cappella arrangement. Fun Latin rhythms and a variety of vocal inflections make this a great change of pace for any concert! Don't miss this hard-driving and raucous hit from the movie Hairspray, perfect for men's concert and show choirs. Opens with a rockin' solo with male back-ups. Take this one out for a test drive! 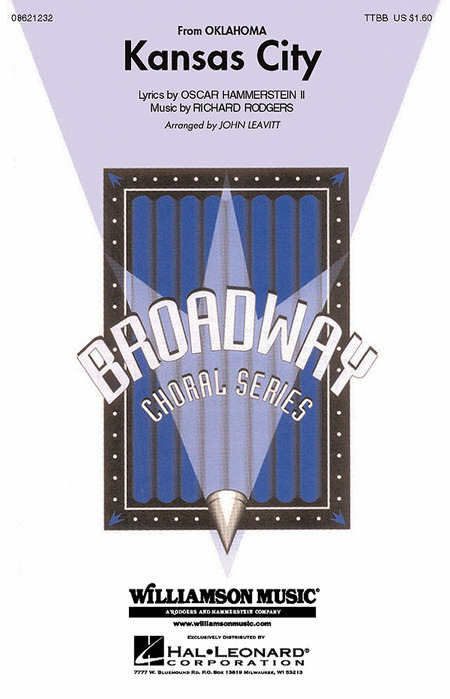 Bring these showstoppers to your audience with this 9-minute medley featuring unforgettable moments from the Broadway stage. Songs include: Bring Him Home (Les Miserables), If I Were a Rich Man (Fiddler on the Roof), Luck Be a Lady (Guys and Dolls), They Call the Wind Maria (Paint Your Wagon), Willkommen (Cabaret). 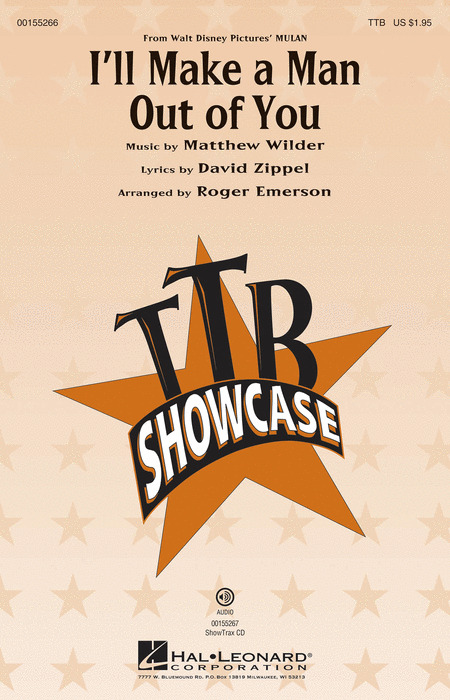 Available separately: TTBB, ShowTrax CD. Combo parts available digitally (tpt 1, tpt 2, tsx, cl/fl, tbn, syn, gtr, b, dm). Duration: ca. 9:20.